Using technology is a key strategy in making events and meetings more measurable and proving ROI, says the Cvent CEO. Event planners across the UK and Europe should harness the power of technology to become more strategic and make their meetings and events more measurable to prove ROI. It was the key message day one of Cvent CONNECT Europe, a gathering of hundreds of professionals from organisations that are using technology to transform meetings and events. 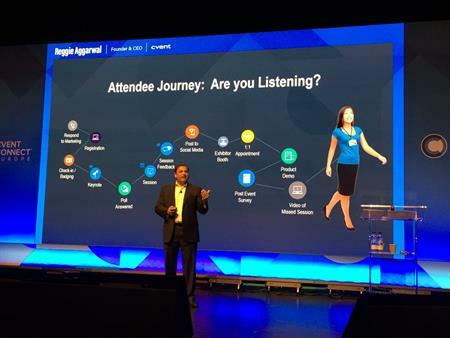 Reggie Aggarwal, Founder and CEO of Cvent, focused on the value of using technology to automate events and leveraging the data and information from Cvent’s event management platform to understand attendee needs and drive meeting success. He said: "Planners need to help their organisations jump the technology innovation curve, and capture the physical footprint of their attendees’ journeys. Utilising this data will help event professionals measure their return on investment and also improve future events. The end goal is to see events not as an expense, but as an asset on the balance sheet." The conference provides those in the event and meetings industry with the opportunity to learn about new innovations and best practices, gain insight through case study evaluation, network with peers, and experience the latest in event technology at the Innovation Pavilion.